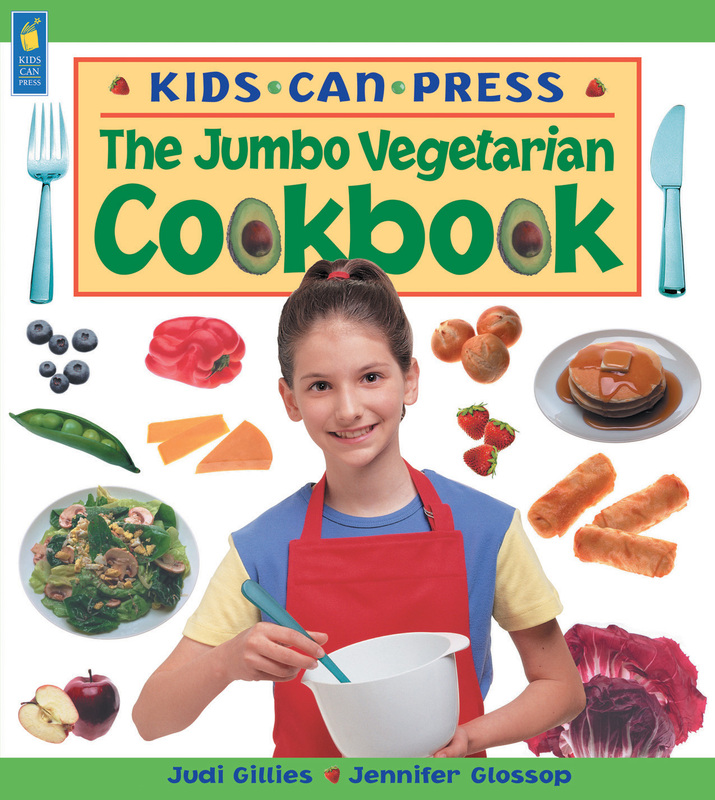 The Jumbo Vegetarian Cookbook is a handy resource for vegetarian parents who want to involve their children in the kitchen. Vegan families will have to either skip a number of the recipes or arrange for a work-around where dairy products and eggs are called for. The book contains a nice explanation of many cooking and safety techniques for kids who are unfamiliar with working in the kitchen. There is also a legend that accompanies each recipe, indicating the level of difficulty, time required, number of servings and whether the recipe is suitable for vegans. Most of the recipes are for pretty standard vegetarian fare, such as hummus, tacos and stir-fry, though there are some more offbeat (and yummy!) recipes to be found as well. The larger font and cheerful graphics make this book kid-friendly. I like that this is a book aimed at veg kids– further validating their compassionate eating choices in a culture that bombards them with so many contrary messages. This cookbook would be a welcome addition to a vegetarian kid’s shelf. Vegan families may want to peruse this book prior to purchase to see if it fits in with their way of approaching food preparation. Sounds like my kiddo might be interested in this book. Nothing like getting them in the kitchen to empower and educate!